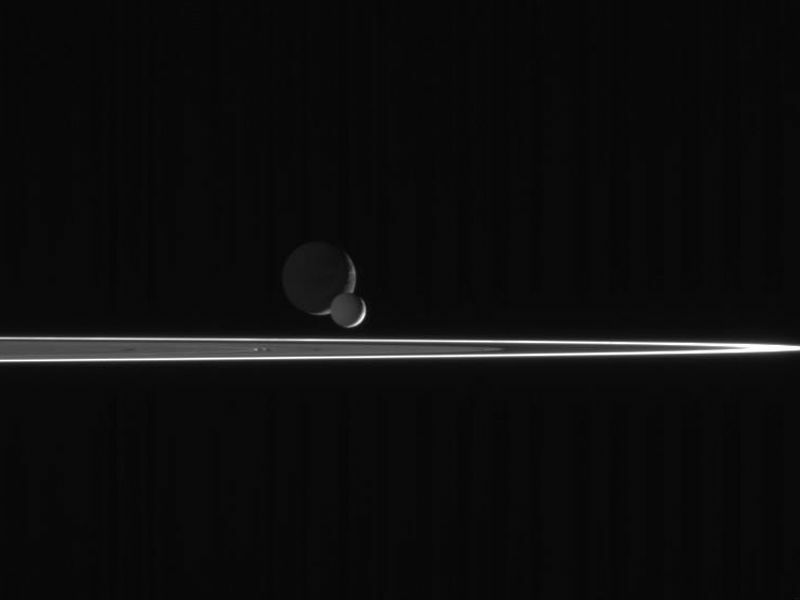 As our robotic emissary to Saturn, the Cassini spacecraft is privileged to behold such fantastic sights as this pairing of two moons beyond the rings. The bright, narrow F ring is the outermost ring structure seen here. In this scene, bright Enceladus (505 kilometers, or 314 miles across) begins to slip in front of more distant Dione (1,126 kilometers, or 700 miles across). 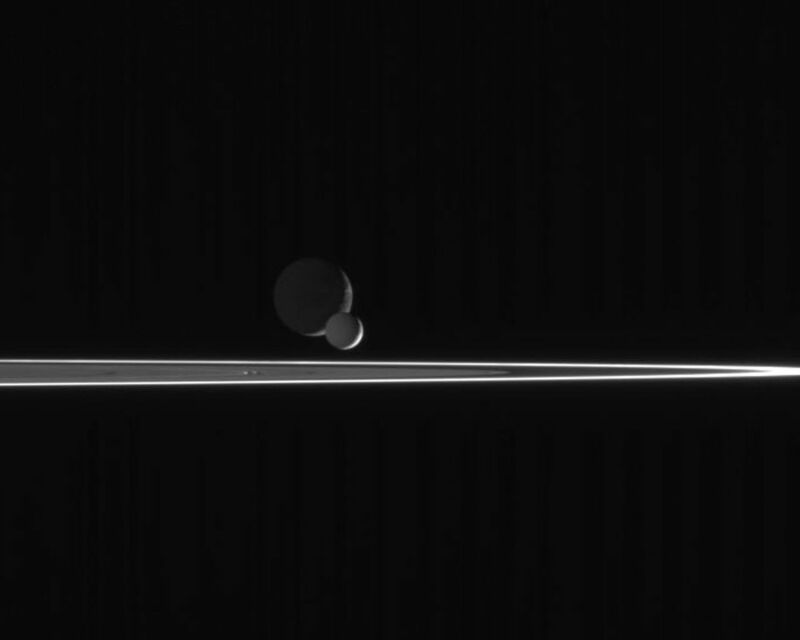 Enceladus is closer to Saturn than Dione, and orbits the planet at greater velocity. Thus, the smaller moon eventually passed the larger one, as seen from the Cassini spacecraft, and continued on its way. The image was taken with the Cassini spacecraft narrow-angle camera on March 3, 2006, using a filter sensitive to wavelengths of ultraviolet light centered at 338 nanometers and at a distance of approximately 2.6 million kilometers (1.6 million miles) from Enceladus and 2.7 million kilometers (1.7 million miles) from Dione. 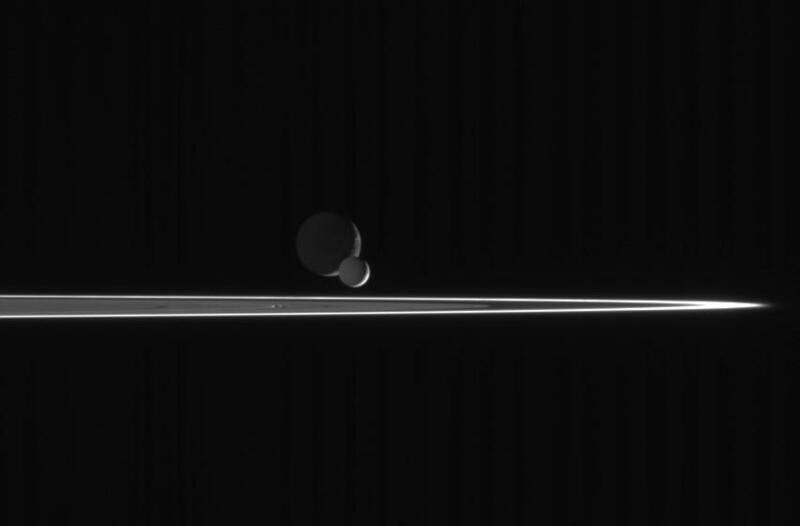 The view was taken from a phase angle (Sun-moon-spacecraft angle) of 139 degrees; about the same angle with respect to both moons. 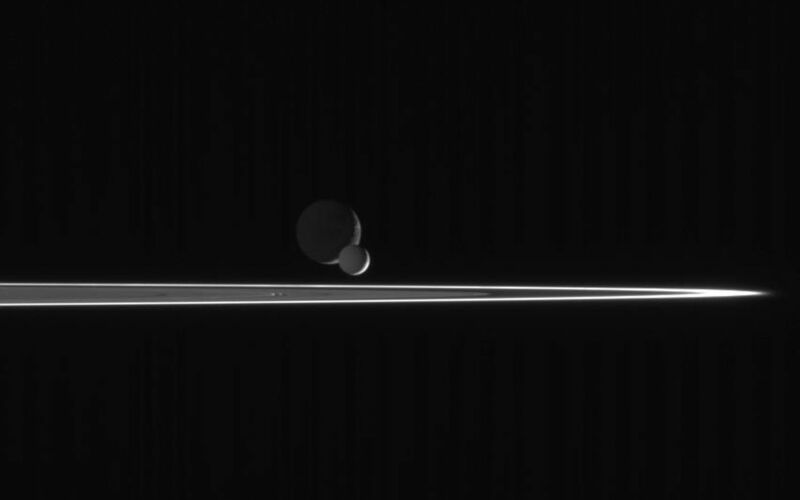 Image scale is about 16 kilometers (10 miles) per pixel on Enceladus and Dione.